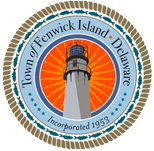 The Town of Fenwick Island is committed to providing a sustainable community for the future. To help guide the direction of this vision, the Town was awarded a grant from DNREC’s Division of Energy, Coastal & Climate to develop a Community Sustainability Plan that will outline the community’s aspirations for what the future could look like and how these outcomes can be achieved. The Town has partnered with KCI Technologies, Inc. on the project and together they developed a Community Sustainability Plan Survey. It seeks to gain feedback on sustainability challenges, ideas, and opportunities for the Town. As a resident, property owner, tenant, business owner, employee, or visitor to the Town, YOUR INPUT IS VITAL as we develop the Plan. If you prefer to fill the survey out in written format, paper copies are available at Town Hall and can be returned to the same location upon completion (800 Coastal Highway, Fenwick Island, DE 19944). Thank you for your time and input! It will help develop a vision for the future, with long-range goals and objectives that affect the Town!